All Star Collision and Glass is a Winnipeg auto body shop for all makes and models of vehicles in Winnipeg. 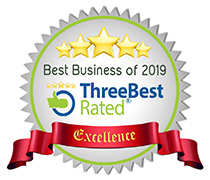 We handle windshield repairs, windshield replacements, plastic repair, frame straightening, hail repairs, glass repair, Autopac claims of any size, auto painting and paint touch-ups at our two auto body shops in Winnipeg. 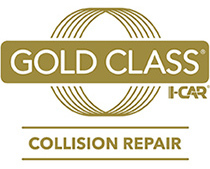 Both Winnipeg auto body repair locations are I-Car Gold Class, This means all shop and office personnel have taken I-Car courses and met rigorous trade standards. We are also an MPI Accredited shop that can handle out-of-province insurance claims. We are pleased to offer our clients a free new courtesy car while theirs is being repaired in our auto body repair shop in Winnipeg. Our auto body shop in Winnipeg allows for you not to forget about your vehicle issues and allows you to trust us to get your car back on the road. Typically people hate the shops they go in because "it takes too long, or it's an inconvenience" but we at All Star Collision & Glass Ltd make sure that the clients come first. We pride ourselves in our customer experience and timely efficient work. Before you know it, you and your car will be on the road again, for your adventures, getting from A to B and everything in between. For more information on our auto body shop, feel free to contact us today! We look forward to getting to know you.